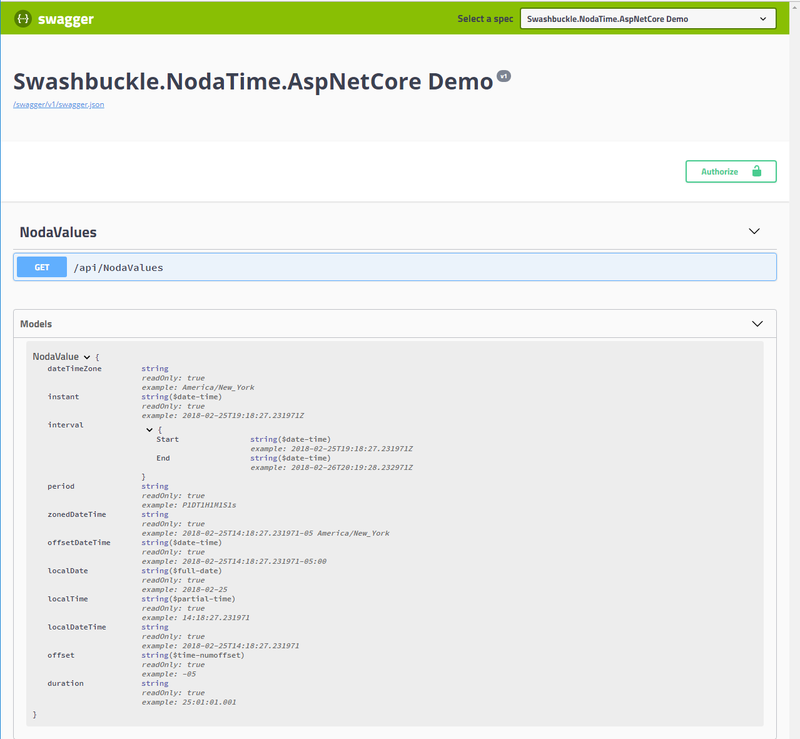 Easily configure Swashbuckle.AspNetCore to generate correct documentation for NodaTime types. NodaTime is an alternative date and time API for .NET which is often used to replace built in types for handling date and time. 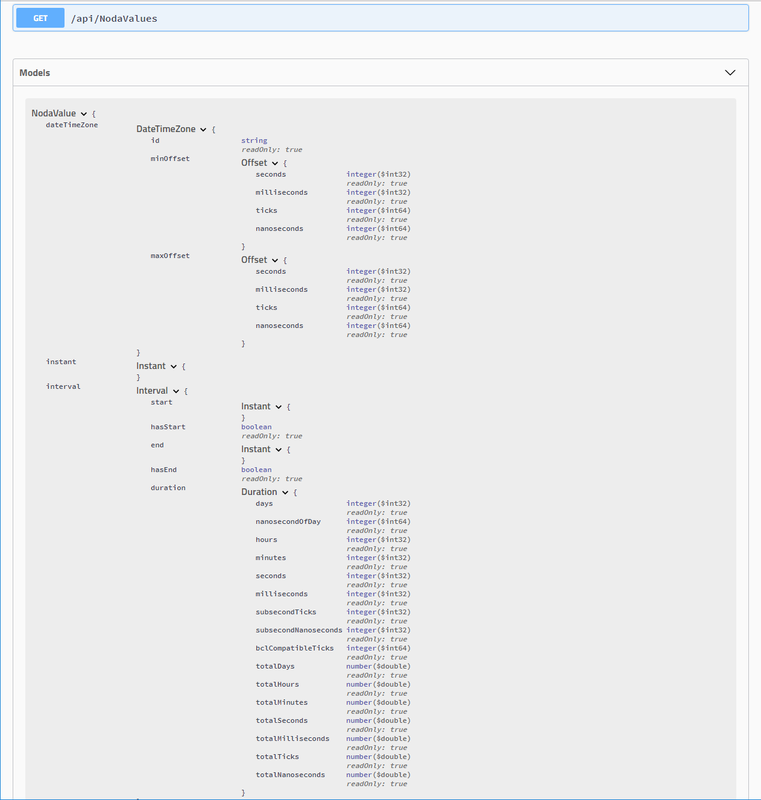 It can be easily configured to work nicely with ASP.NET Core MVC using NodaTime.Serialization.JsonNet package. Swashbuckle.AspNetCore is a library to seamlesly add swagger generation and UI to ASP.NET Core MVC projects. Call ConfigureForNodaTime method on swagger configuration when setting up swagger using AddSwaggerGen method.